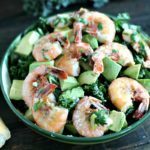 Garlic Kale Salad topped with garlicky shrimp cooked in Sauvignon Blanc and served with buttery avocado is the perfect summer meal. 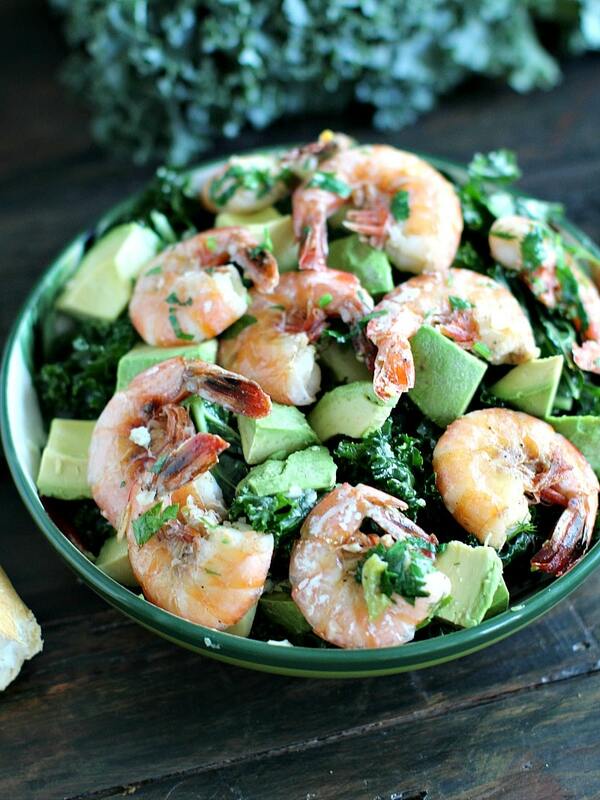 This Shrimp Garlic Kale Salad is absolutely delicious, filling, and hearty. 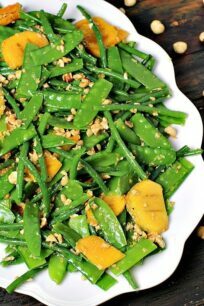 In addition, it is very easy to make and its bursting with flavor. Starting with fresh kale that was massaged in oil, lemon juice and lots of minced garlic. 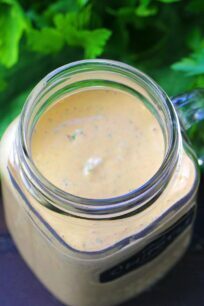 The kale gets very tender and garlicky with a beautiful citrus aroma. 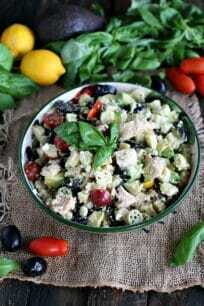 Add some wine into the mix and you have a beautiful meal! Sauvignon Blanc is a fresh, fruity wine dominated by tropical and citric fruit such as grapefruit, lime and lemon peel. The wine pairs well in the mix and with shrimp the combo is just perfect. Also, the shrimp has been cooked in a splash of delicious Sauvignon Blanc, spices, lots of fresh herbs and garlic. 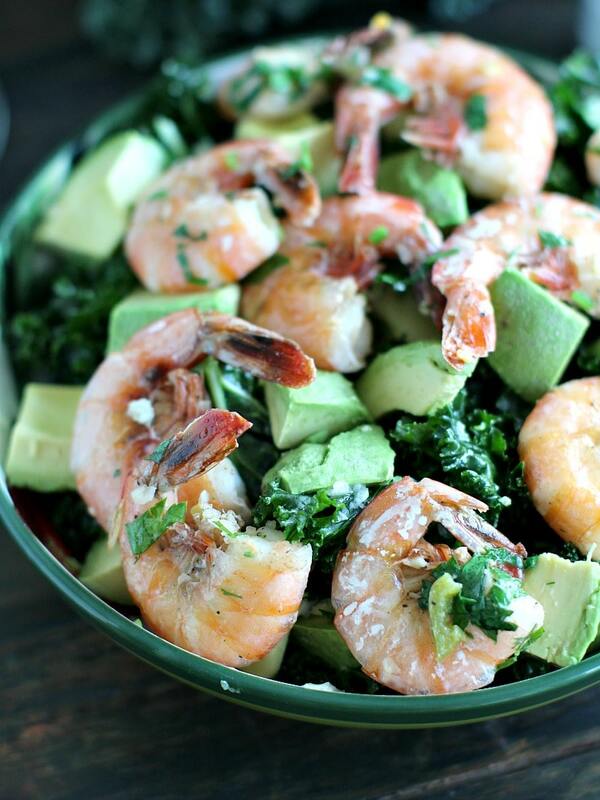 The Garlic kale Salad is topped with shrimp cooked to perfection. 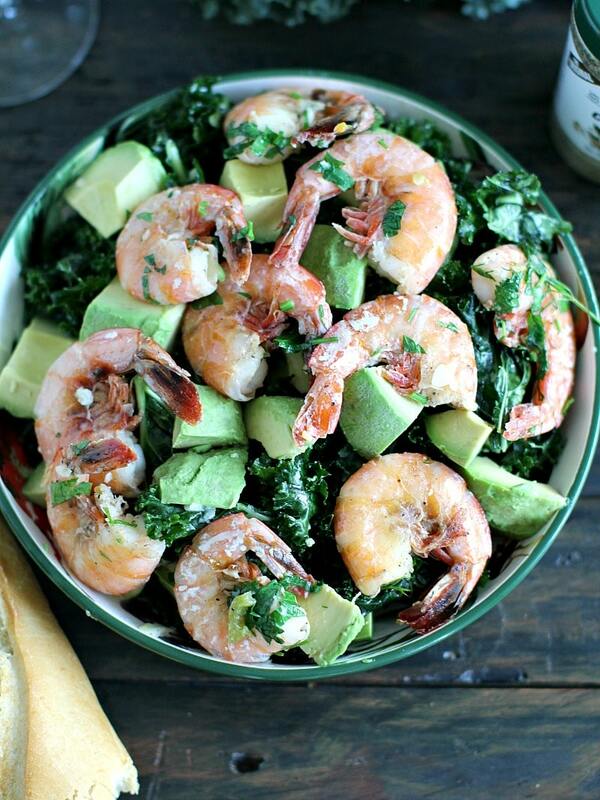 With buttery avocado and served with a glass of wine is how I want to eat all summer long! Why cook shrimp with the shells on? First, start underneath, where their legs are attached. Then, use a paring knife to devein by making a shallow slit down the middle of the back to expose the black strip intestine. Next, gently remove the black strip of intestines and wipe it off on a paper towel. In order to remove the shrimp tail, just squeeze the shrimp out from the tail segment, discard the tail. Mmm I want to devour that salad for lunch! Love that you added shrimp. So delicious!